An Interview With Christopher Knight Many New Dawn readers will know of British writer Christopher Knight from his first book The Hiram Key, which he co-authored with Robert Lomas and published in 1996. Quickly becoming a best seller, The Hiram Key was acclaimed a classic in the field of alternative history, going on to influence a generation of researchers among them The Da Vinci Code?s Dan Brown. In the last ten years Knight has written six books, four with Robert Lomas and two, including his latest Who Built the Moon?, with Alan Butler. In Who Built the Moon?, Knight and Butler raise some fascinating and challenging questions, foremost: Could it be that the Moon is artificial? Could it even be hollow? And does the Moon really exist through some happy accident, or is a blueprint apparent ? and if so, who was the architect? New Dawn recently spoke with Christopher Knight about his controversial new book and his astonishing conclusions. The book lists the strangeness of the Moon, which includes the fact that it does not have a solid core like every other planetary object. It is either hollow or has a very low-density interior. Bizarrely, its concentration of mass are located at a series of points just under its surface ? which caused havoc with early lunar spacecraft. The material the Moon is made from came from the outer surface of the Earth and left a shallow hole that filled with water and we now call the Pacific. This rock left the Earth to produce the Moon very quickly after our planet had formed around 4,6 billion years ago. The Moon is not only extremely odd in its construction; it also behaves in a way that is nothing less than miraculous. It is exactly four hundred times smaller than the Sun but four hundred times closer to the Earth so that both the Sun and the Moon appear to be precisely the same size in the sky ? which gives us the phenomenon we call a total eclipse. Whilst we take this for granted it has been called the biggest coincidence in the universe. ND: What led you to write Who Built the Moon? And does this latest book relate to your earlier research when writing Civilization One and Uriel?s Machine? CK: All of the six books I have had published over the last ten years are part of a continued single piece of research. I came to write Who Built the Moon? with Alan Butler after we had finished Civilization One, because our research led us to study the Moon very closely. However, for thoroughness we checked every planet and moon in the solar system to see if there was any pattern. Amazingly, it worked perfectly for every aspect of the Moon but did not apply at all to any other known body ? except the Sun. It was as though we had found a blueprint where the Moon had been ?manufactured? using very specific units taken from Earth?s relationship with the Sun. The more we looked, everything fitted ? and fitted perfectly in every conceivable way. The work of Alexander Thom, a brilliant professor of engineering from Oxford University, was our starting point. He identified the existence of what he called the Megalithic Yard. This was a precise unit of measurement that was the basis of late Stone Age structures across Western Europe ? such as Stonehenge. Most archaeologists have written his work off as a mistake but when one looks coldly at their objections they are baseless. Alan and I were able to show how they made these highly precise linear units based on the rotation of the Earth and how they were also the basis of all time, capacity and weight units in use today. Once again these are exact ? not approximations or close fits. Where the ancients got such knowledge is quite baffling. All we can be certain of is that they were way ahead of us today! It?s easy to check out by anyone with a calculator. CK: Not only is the Moon an apparently impossible object, it has some unique benefits for us humans. It has been nothing less than an incubator for life. 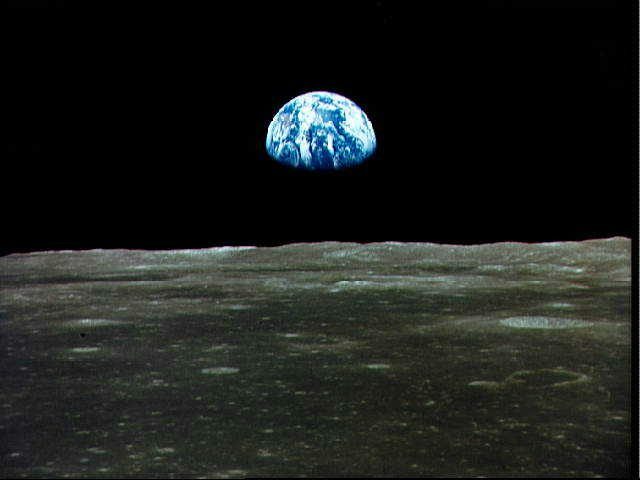 If the Moon was not exactly the size, mass and distance that it has been at each stage of the Earth’s evolution ? there would be no intelligent life here. Scientists are agreed that we owe everything to the Moon. CK: In Who Built the Moon? we explain that we could not come to any other conclusion than the Moon is artificial. Because it is certain that it is 4.6 billion years old that raises some interesting points. Another factor was the obvious message that has been built into the Moon to tell us it’s artificial. The language of the message is base ten arithmetic so it looks as though it is directed to a ten digit species that is living on Earth right now ? which seems to mean humans. The question of why the Moon had to be built is easy to answer: To produce all life, especially humans. As to who did it ? well that’s a lot tougher! We give the three possibilities we can think of, namely: God, aliens or humans. The only one of these that is 100% scientifically possible is the last one. Time travel is universally accepted as being physically possible and a number of scientists are close to sending matter back in time. We can envisage that machines could be built in the future that could be sent back to remove matter from the young Earth to construct the Moon ? probably using mini black hole technology. Posted in MoonTagged Moon, Robert Lomas, Dan Brown, Alan Butler, Christopher Knight, Supermoon, NASAcommentLeave a Comment on Who Built the Moon?